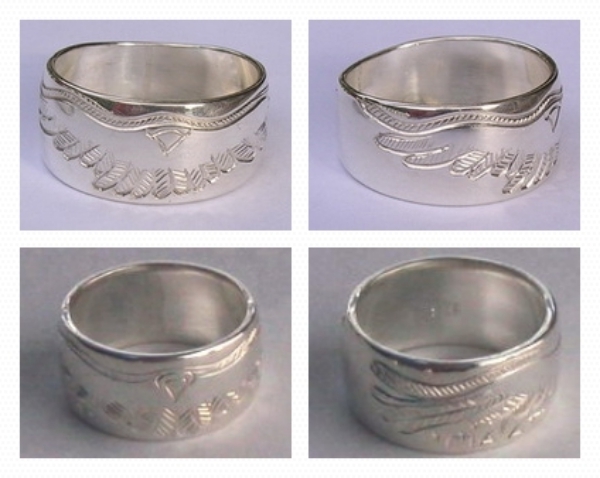 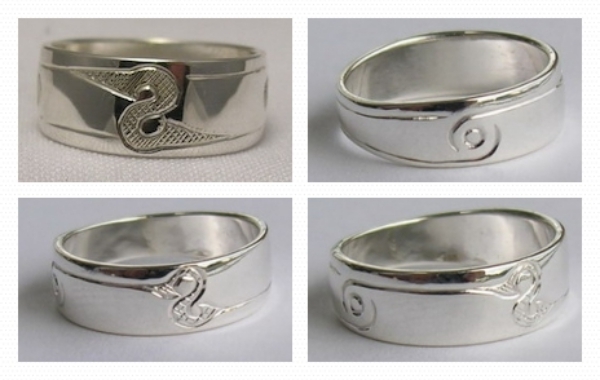 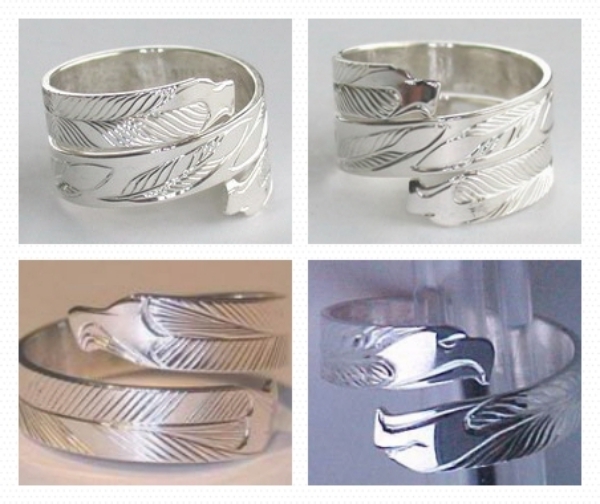 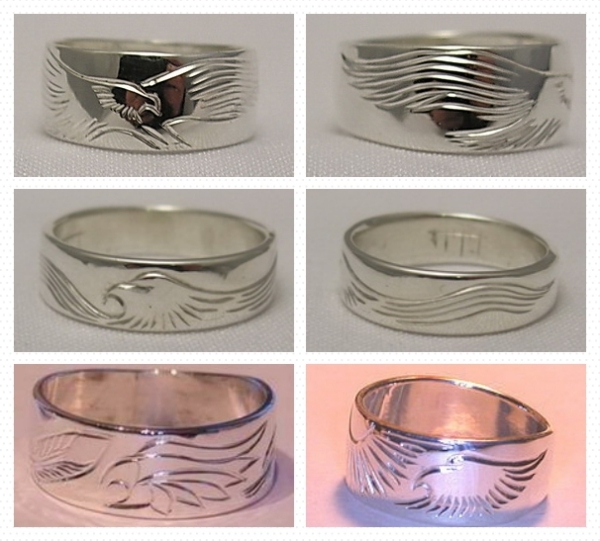 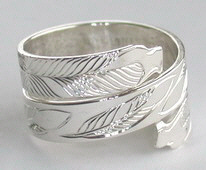 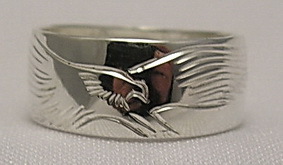 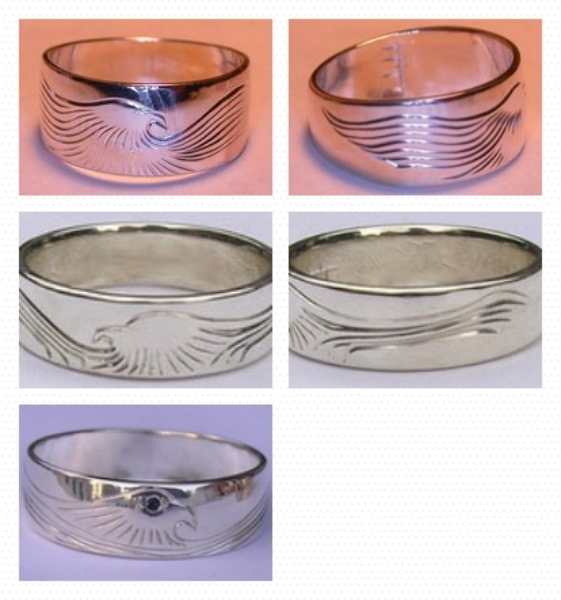 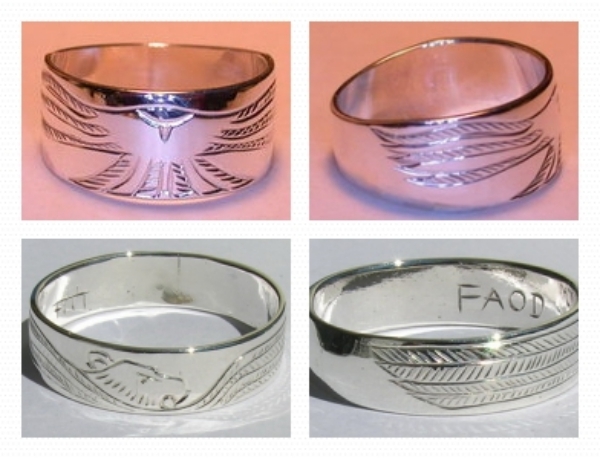 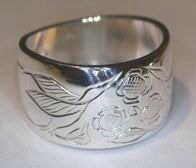 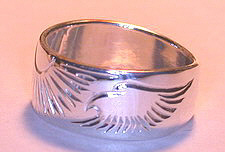 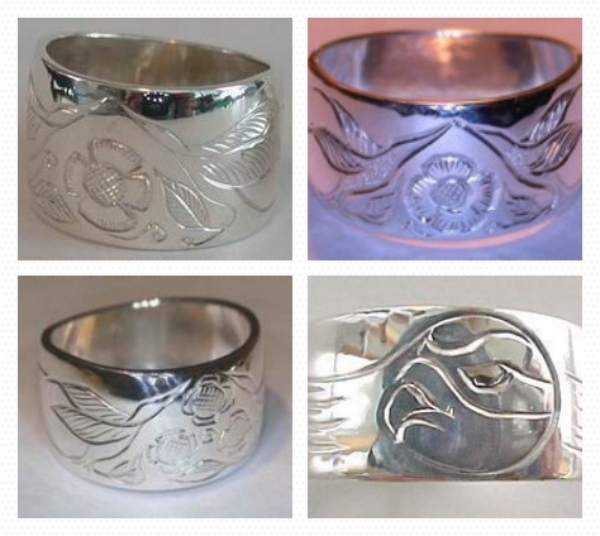 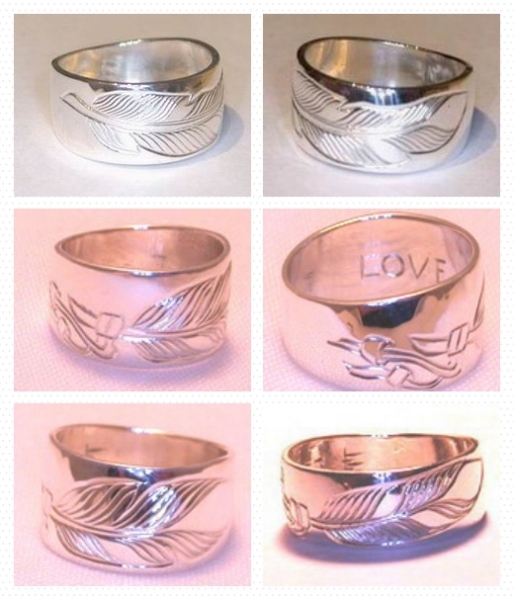 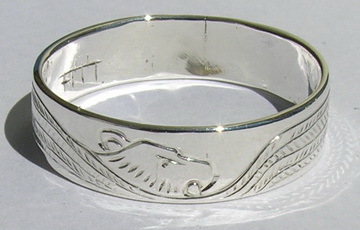 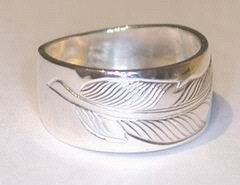 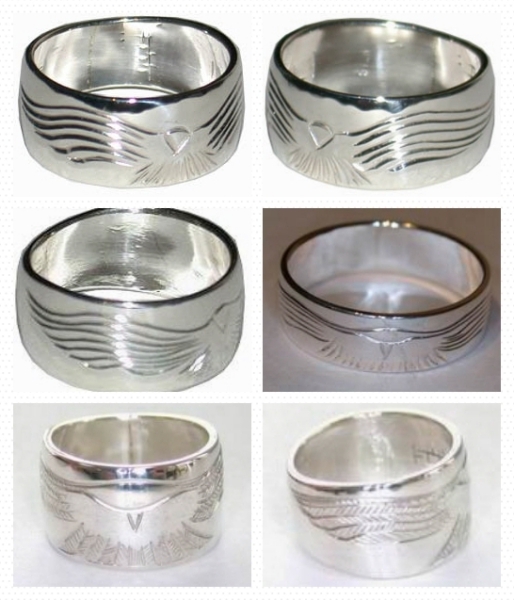 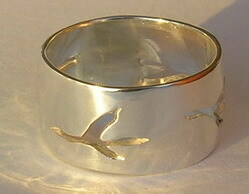 Silver bird feather rings – Designs by Bearclaw Native Indian Jewelry,Casting and Engraving ,Unique Chipewyan silver jewelry using themes of Eagles, Hawks, Hummingbirds, Owls, Ravens, Turkey, Falcons and more for designs. 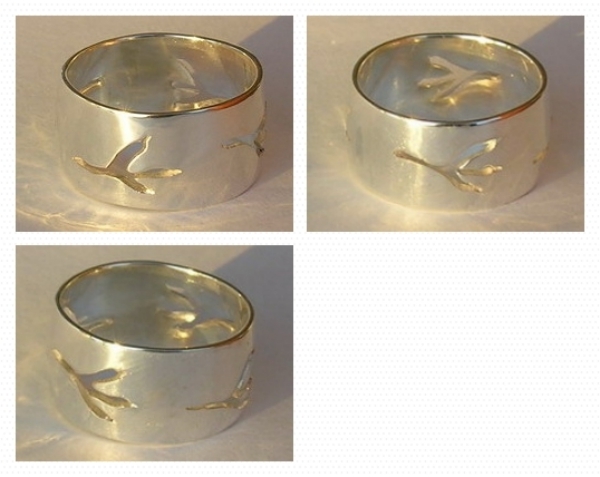 In flight, landing and resting views of these majestic animals. 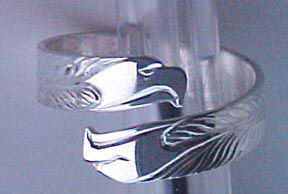 The rings are available in wide band and thin band. 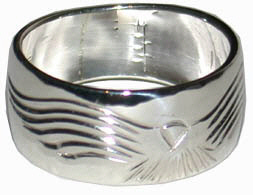 The wrap-around style allows for expansion and shrinkage with your fingers over time and are extremely easy to adjust.